In a new twist on the fountain of youth, we follow the journals over the centuries of two people who drink from the waters and take alternating turns between childhood and old age. This truly unique piece of literature that seamlessly combines a slightly futuristic fantasy and magic with a realistic story of empathy and the struggle of witnessing human suffering and the death process. 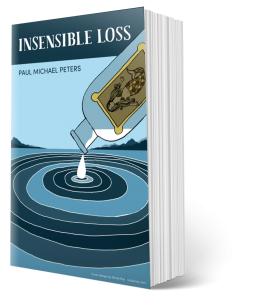 Readers who enjoy puzzles, mysteries, twists, historical fiction, and not always endearing characters, Insensible Loss will be your favorite find this year.